A photocurable ink for ink-jet recording, comprising an oxetane compound having a substituent at the 2-position of the molecule. wherein each R 1 to R6 is independently a hydrogen atom or a substituent, provided that at least one of R3 and R4 is a substituent, and at least one of R5 and R6 is a substituent. wherein an illuminance on a surface of the recording material during the irradiating step is from 0.1 to 50 mW/cm 2 in a range of 200 to 450 nm. Further, in the ink-jet ink of the present invention, by using the oxetane compounds of the present invention together with oxetane compounds having no substituent at the 2-position, it becomes possible to achieve low viscosity preferred for an ink-jet ink and also possible to enhance the reactivity as well as the cured layer strength. Still further, by using the oxetane compounds together with epoxy compounds or vinyl ether compounds, which are cationically polymerizable monomers usable in combination, it becomes possible to appropriately control physical properties of the resulting layers, close adhesion properties to substrates, and physical properties of the ink. In the oxetane compounds of the present invention, an electron donating group, as described herein, refers to the substituent which results in a negative Hammett substituent constant σp value. 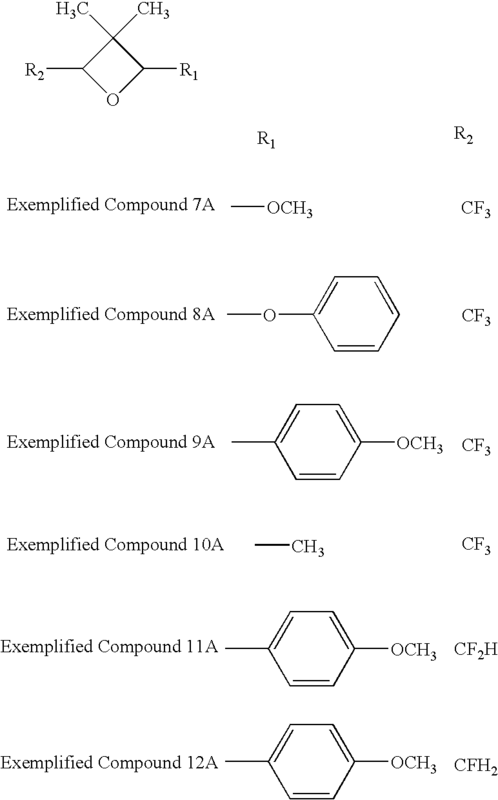 Examples of such compounds include —NH 2 or alkyl (R) substituted —NR2, —OH, —OCH3, or an alkoxy group comprised of an alkyl group having at least two carbon atoms, —NHCOCH3 or an alkyl (R) substituted —NRCOCR3, —C6H5, a substituted type —C6H5 described in Japanese Patent Application Open to Public Inspection No. 2001-181386, —CH3, or an alkyl group having at least two carbon atoms, or a cyclic alkyl group such as a cyclohexyl group. Of these, preferred are structures having no basic N atom. The aforesaid basic N atom quenches protons which are active species of cationic polymerization, whereby photosensitivity decreases. On the other hand, an electron attractive group, as described herein, refers to the substituent which results in a positive Hammett substituent constant σp value. Specific examples of electron attractive groups include —N(CH 3)3 +, —NO2, —CN, —SO3H, —COOH, —CHO, —COR, —X (halogen), —CX3 or a halogenated alkyl group having at least two carbon atoms. Of these, preferred are —COR, —X, and a halogenated alkyl group. werein, R 1-R6 each represents a hydrogen atom or a substituent, however, at least one of the groups represented by R3-R6 is a substituent. In General Formula (1), R 1-R6 each represents a hydrogen atom, a fluorine atom or an alkyl group having 1-6 carbon atoms (e.g., a methyl group, an ethyl group, a propyl group or a butyl group), an fluorinated alkyl group having 1-6 carbon atoms, an ally group, an aryl group (e.g., a phenyl group, a naphtyl group, a furyl group or a thienyl group. 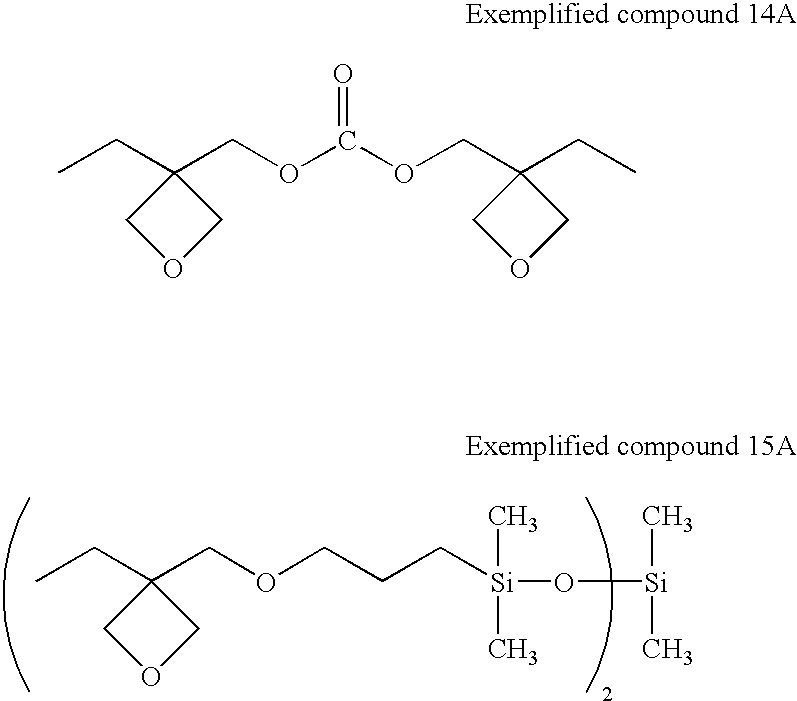 These may further have a substituent. R 1-R6 each represents a hydrogen atom, a fluorine atom or an alkyl group having 1-6 carbon atoms (e.g., a methyl group, an ethyl group, a propyl group or a butyl group), an fluorinated alkyl group having 1-6 carbon atoms, an ally group, an aryl group, a furyl group or a thienyl group. In General Formulas (2) and (4), at least one of R 3 or R4, or one of R5 or R6 is not a hydrogen atom. At least one of the groups represented by R 1 to R8 or Z contains an oxygen atom, and the oxygen atom is required to have a lower electron density than a oxygen atom in a oxetane ring. The electron density is a value obtained using a molecular orbital calculation software “WinMopac”. When a sulfur atom is contained in one of the groups represented by R 1 to R8 or Z, the sulfur atom is also required to have a lower electron density than a oxygen atom in a oxetane ring. R 1-R6 each represents a hydrogen atom, a fluorine atom or an alkyl group having 1-6 carbon atoms (e.g., a methyl group, an ethyl group, a propyl group or a butyl group), an fluorinated alkyl group having 1-6 carbon atoms, an ally group, an aryl group, a furyl group. 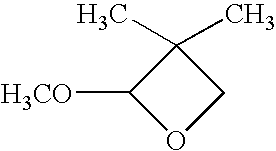 R 9 represents a straight or branched alkylene group having 1-12 carbon atoms. Examples are alkylene groups represented by General Formula (8) described below. wherein R 10 represents a lower alkyl group (e.g., a methyl group, an ethyl group, or a propyl group). 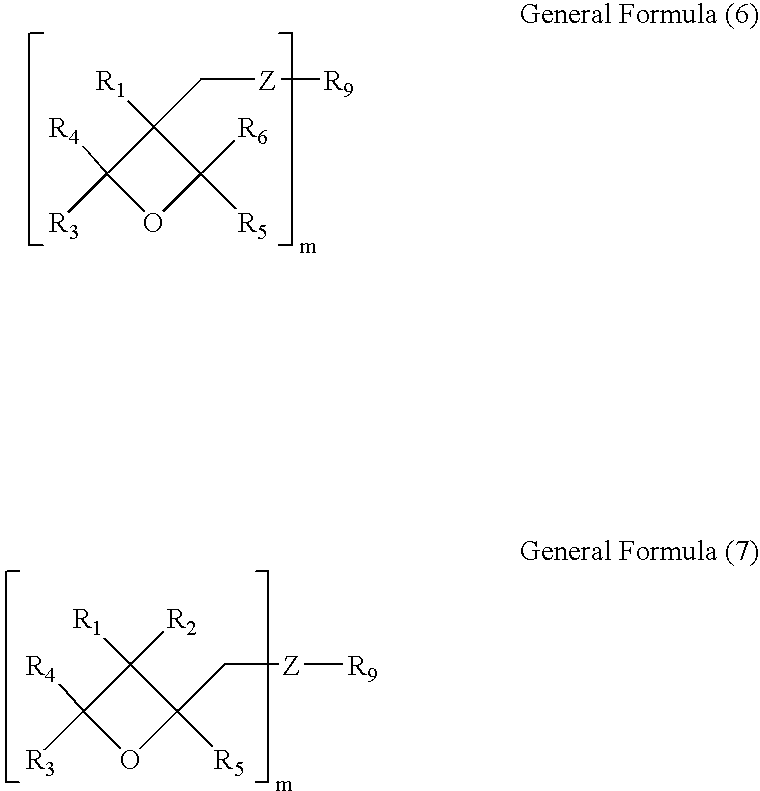 In General Formula (6) and (7), R 9 represents a polyvalent group represented by General Formulas (9), (10) and (11). In General Formula (9) n represents 0 or an integer of 1-2,000, R 11 represents an alkyl group having 1-10 carbon atoms or the group represented by General Formula (12) described below. R 12 represents an alkyl group having 1-10 carbon atoms (e.g., a methyl group, an ethyl group, a propyl group, a butyl group. In General Formula (12), j represents 0 or an integer of 1-100, and R 13 represents an alkyl group having 1-10 carbon atoms (e.g., a methyl group, an ethyl group, a propyl group, a butyl group, a pentyl group, a hexyl group, a heptyl group, an octyl group, or a nonyl group). In General Formula (10), R 14 represents a hydrogen atom, an alkyl group having 1-10 carbon atoms (e.g., a methyl group, an ethyl group, a propyl group, a butyl group), an alkoxy group having 1-10 carbon atoms (e.g. a methoxy group, an ethoxy group, a propoxy group, a butoxy group, and a pentoxy group), a halogen atom (e.g., a fluorine atom, a chlorine atom, a bromine atom, or an iodine atom), a nitro group, a cyano group, a mercapto group, an alkoxycarbonyl group of lower alkyl number (e.g., a methyloxycarbonyl group, an ethyloxycarbonyl group, or a butyloxycarbonyl group), or a carboxyl group. In General Formula (11), R 15 represents an oxygen atom, a sulfur atom, —NH—, —SO—, —SO2—, —CH2—, —C(CH3)2—, or —C(CF3)2—. In the present invention, of these compounds, useful compounds include an oxetane compound which is comprised of at least two oxetane rings in which the electron density of the oxygen atom constituting at least one oxetane ring is higher than that of atoms constituting the other molecule or an oxetane compound in which at least one of R 1-R8 and Z is represented by an oxygen atom and the electron density of the oxygen atom constituting the oxetane ring is higher than that of atoms other than atoms constituting the oxetane ring. Namely, useful conditions of the present invention are that the electron density of atoms constituting the other portion of the molecule does not exceed that of the oxygen atom constituting the oxetane ring. 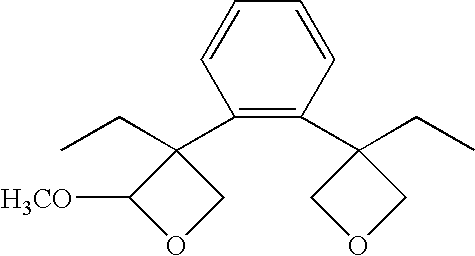 Two oxetane rings are preferably joined via an alkylene group employing it as a joint portion. In the General Formula (1A), R 1 is a hydrogen atom, alkyl group having 1-6 carbon atoms such methyl group, ethyl group, propyl group or butyl group, fluoro-alkyl group having 1 to 6 carbon atoms, allyl group, aryl group, furyl group, or thienyl group. R2 is an alkyl group having 1 to 6 carbon atoms such as methyl group, ethyl group, propyl group or butyl group; alkenyl group having 2 to 6 carbon atoms such as 1-propenyl group, 2-propenyl group, 2-methyl-1-propenyl group, 2-methyl-2-propenyl group, 1-butenyl group, 2-butenyl group or 3-butenyl group; a group having aromatic ring such as phenyl group, benzyl group, fluoro-benzyl group, methoxy-benzyl group or phenoxy-ethyl group; alkyl carbonyl group having 2 to 6 carbon atoms such as ethyl carbonyl group, propyl carbonyl group or butyl carbonyl group; alkoxy carbonyl group having 2 to 6 carbon atoms such as ethoxy carbonyl group, propoxy carbonyl group or butoxy carbonyl group; N-alkyl carbamoyl group having 2 to 6 carbon atoms such as ethyl carbamoyl group, propyl carbamoyl group, butyl carbamoyl group or pentyl carbamoyl group. As the oxetane compound used in the present invention, it is particularly preferable that the compound having one oxetane ring is used, because the obtained composition is excellent in the coking property, and the operability is excellent in the low viscosity. In the General Formula (2A), R 1 is the same group as the group shown in the above-described General Formula (1A). 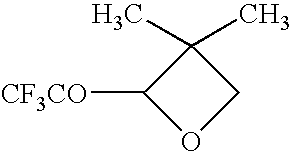 R3 is, for example, a linear or branching alkylene group such as ethylene group, propylene group or butylene group; linear or branching poly (alkylene-oxy) group such as poly (ethylene oxy) group or poly (propylene oxy) group; linear or branching un-saturated hydrocarbon group such as propenylene group, methyl propenylene group or butenylene group; carbonyl group; alkylene group including carbonyl group; alkylene group including carboxyl group; alkylene group including carbamoyl group. 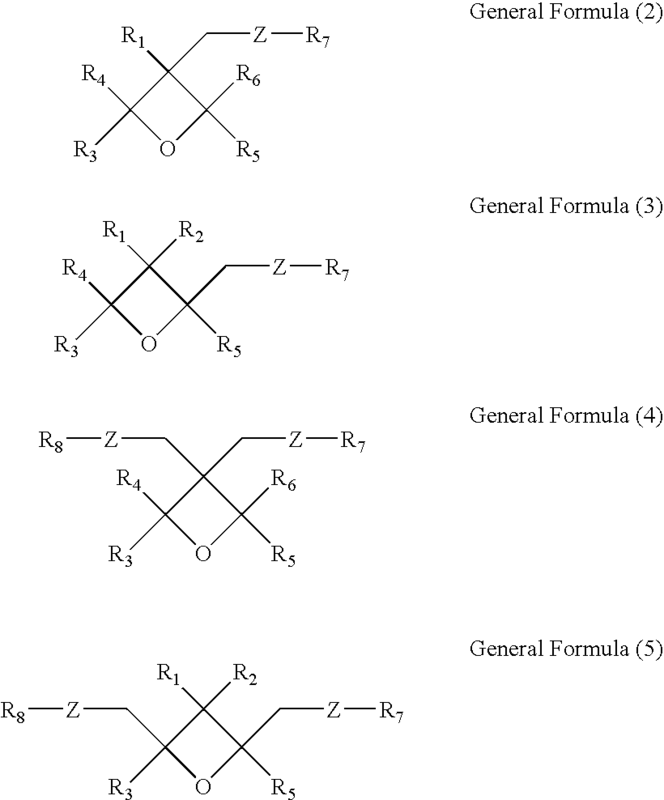 Further, R 3 may also be a polyhydric group selected from the group shown by the following General Formulas (3A), (4A) and (5A). In the General Formula (3A), R 4 is a hydrogen atom, an alkyl group having 1 to 4 carbon atoms such as methyl group, ethyl group, propyl group or butyl group, or alkoxy group having 1 to 4 carbon atoms such as methoxy group, ethoxy group, propoxy group or butoxy group, or halogen atom such as chloride atom or bromine atom, nitro group, cyano group, mercapto group, lower alkyl carboxyl group such as the group having 1 to 5 carbon atoms, carboxyl group, or carbamoyl group. 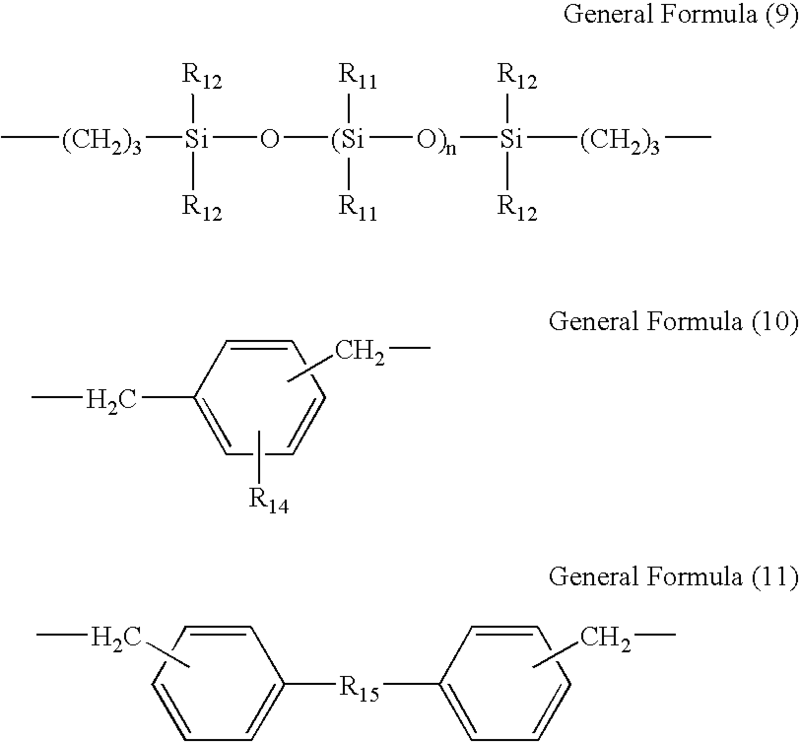 In the General Formula (4A), R 5 is oxygen atom, sulfide atom, methylene group, —NH—, —SO—, —SO2—, —C(CF3)2—, or —C(CH3)2—. In the General Formula (5A), R 6 is an alkyl group having 1 to 4 carbon atoms such as methyl group, ethyl group, propyl group or butyl group, or aryl group. Numeral n is an integer of 0-2000. R7 is an alkyl group having 1 to 4 carbon atoms such as methyl group, ethyl group, propyl group or butyl group, or aryl group. R7 is also a group selected from the group shown by the following General Formula (6A). In the General Formula (6A), R 8 is an alkyl group having 1 to 4 carbon atoms such as methyl group, ethyl group, propyl group or butyl group, or aryl group. Numeral m is an integer of 0-100. Exemplified compound 14 shown by the above structural formula is a compound in which R 1 is an ethyl group, and R3 is a carboxy group in General Formula (2A). Exemplified compound 15 shown by the above structural formula is a compound in which each R 6 and R7 are a methyl group, and n is 1 General Formula (5A). 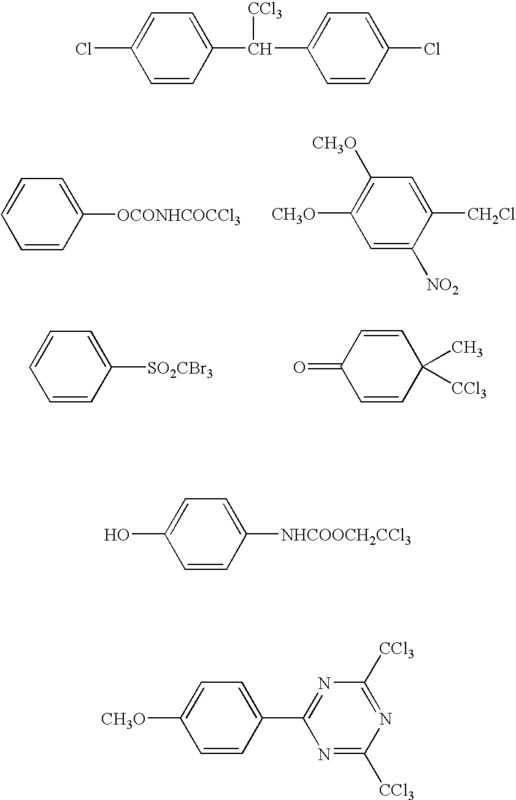 Among the compound having 2 oxetane rings, as a preferable example except for the above-described compounds, there are compounds shown by the following General Formula (7A). In the General Formula (7A), R 1 is the same group as in the General Formula (1A). In the General Formula (8A), R 1 is the same group as in the General formula (1A). 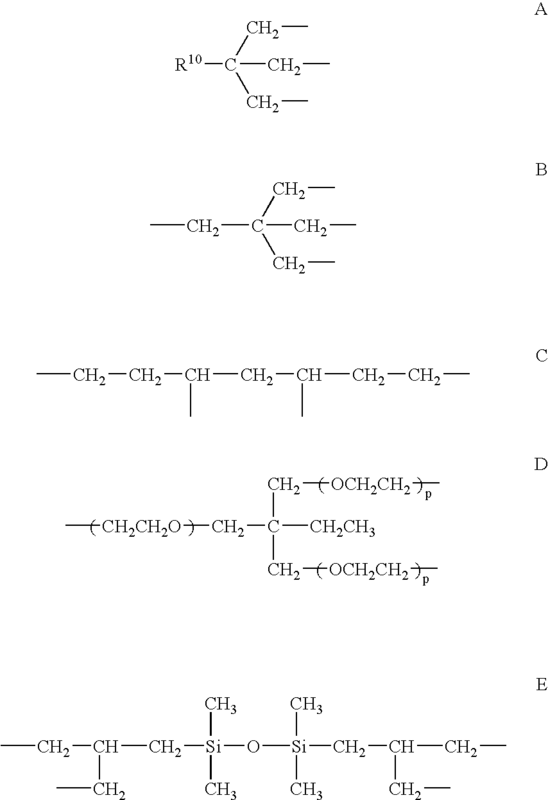 R9 is, for example, branching alkylene group having 1 to 12 carbon atoms such as groups shown by the following General Formulas (9A), (10A), branching poly(alkylene oxy) group such as group shown by the following General Formula (11A), or branching polysiloxane group such as group shown by the following General Formula (12A) is listed. Numeral j is 3 or 4. In Formula A, R 10 is a lower alkyl group such as a methyl, ethyl, or propyl group. In Formula D, p is an integer of 1 to 10. In the General Formula (9A), R1 is the same group as in General Formula (1A) and R 8 is the same group as in the General Formula (6A). R11 is alkyl group having 1 to 4 carbon atoms such as methyl group, ethyl group, propyl group or butyl group, or tri-alkyl silyl group, and numeral r is 1-4. Firstly, aromatic onium compound B(C 6F5)4 −, PF6 −, AsF6 −, SbF6 −, CF3SO3 − salt, such as diazonium, ammonium, iodonium, sulfonium, phosphonium, can be listed. 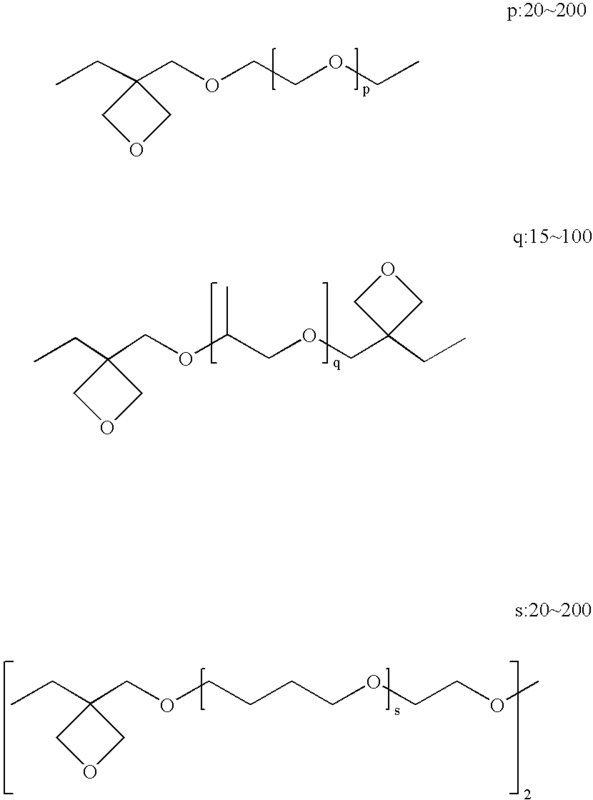 Specific examples of the onium compounds will be shown below. Examples of light sources employed in actinic radiation exposure include high pressure mercury lamps, metal halide lamps, non-electrode UV lamps, low pressure mercury lamps, UV lasers, xenon flash lamps, insectivorous lamps, black-light lamps, insecticide lamps, cold cathode tubes, and LEDs. The aforesaid light sources are not limited to these examples. However, of these, fluorescent tubes are preferred due to low energy consumption as well as low cost. From the viewpoint of sensitivity, preferred are radiation sources which emit radiation at a wavelength of 250-370 nm, and preferably having an emission peak of 270-320 nm. The illuminance is preferably 1-3,000 W/cm 2, and is more preferably 1-200 W/cm2. Each of the magenta inks prepared as above was ejected onto a polyethylene terephthalate film substrate, which had been subjected to corona discharge treatment, employing piezo type ink-jet nozzles (having a nozzle pitch of 360 dpi; dpi, as described in the present invention, refers to the number of dots per inch or 2.54 cm) capable of forming a droplet volume of 7 pi, while heating the nozzle section to 50° C., whereby a solid magenta image and 6-point MS Ming-cho type characters were printed. Employed as a light source was a fluorescent tube having a 308 nm peak. While adjusting the illuminance on the substrate surface below the light source at 10 mW/cm 2, exposure was initiated 0.2 second and completed 0.7 second after ink impingement. Incidentally, the exposure energy was 5 mJ/cm2. The aforesaid image printing was performed at a low humidity ambience (25° C. and 20 percent relative humidity) as well as at a high humidity ambience (25° C. and 80 percent relative humidity). FIG. 1 is a front view showing the structure of the main section of the recording apparatus employed in the present invention. Recording apparatus  1 is comprised of head carriage 2, recording head 3, illumination means 4, and platen section 5. Platen section 5 exhibits an ultraviolet radiation absorbing function and absorbs extra ultraviolet radiation which has been transmitted through recording material P. As a result, it is possible to very consistently reproduce highly fine and detailed images. Recording material P is guided by guide member  6 and moves from the front to the back of FIG. 1, utilizing operation of a transport means (not shown). A head scanning means (also not shown) allows head carriage 2 to reciprocate in the Y direction shown in FIG. 1 whereby scanning of recording head 3, held by head carriage 2, is carried out. Head carriage  2 is arranged above recording material P, and houses a plurality of recording heads 3, described below, matching the number of colors employed for printing images onto recording material P so that ink ejection openings are arranged on the lower side. Head carriage 2 is arranged in the main body of recording apparatus 1 in such manner that reciprocal motion is allowed in the Y direction in FIG. 1. driven by the head scanning means. Incidentally, FIG. 1 shows that head carriage  2 houses yellow (Y), magenta (M), cyan (C), and black (K) recording heads 3. However, in practice, the number of colors of recording head 3, which are housed in carriage 2, is decided on a need basis. Recording heads  3 eject a photocurable ink (also called an actinic radiation curable ink such as an ultraviolet radiation curable ink), which is supplied by an ink supply means (not shown), onto recording material P from ejection openings, utilizing operation of a plurality of ejection means (also not shown) arranged in its interior. The ultraviolet radiation curable ink (also called UV ink), which is ejected from recording heads 3, is comprised of colorants, polymerizable monomers, initiators, and the like. 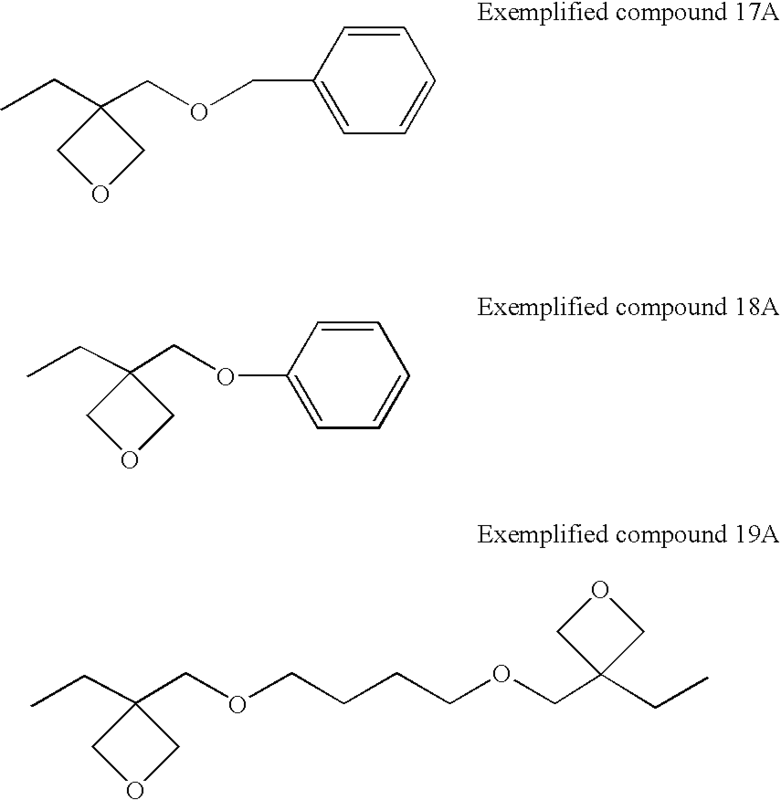 When exposed to ultraviolet radiation, the aforesaid initiators work as a catalyst, whereby curing properties are exhibited through crosslinking and polymerization reaction of the aforesaid monomers. During scanning in which recording heads  3 move from one end of recording material P to the other end thereof along the Y direction in FIG. 1, while driven by the head scanning means, aforesaid recording heads 3 eject the aforesaid UV ink in the form of ink droplets onto a definite region (an ink droplet receivable area) of recording material P and impinge ink droplets onto the aforesaid ink droplet receivable area. The aforesaid scanning is carried out at a suitable frequency. The aforesaid UV ink is ejected onto the ink droplet receivable region. Thereafter, recording material P is appropriately conveyed from the front to the back of FIG. 1, employing a conveying means, and scanning is again carried out employing the head scanning means. During the aforesaid scanning, the aforesaid UV ink is ejected onto the following ink droplet receivable region adjacent to the backward direction of FIG. 1, while employing recording heads  3. The aforesaid operation is then repeated. By ejecting the aforesaid UV ink from recording heads  3 while synchronizing the head scanning means with the conveying means, an image comprised of an assembly of UV ink droplets is formed on recording material P.
Exposure means  4 is comprised of an ultraviolet radiation lamp which emits ultraviolet radiation of a specified wavelength region at consistent exposure energy, and a filter which transmits the ultraviolet radiation of the specified wavelength. Herein, employed as ultraviolet radiation lamps may be mercury lamps, metal halide lamps, excimer lasers, ultraviolet lasers, cold cathode tubes, black-light lamps, and LEDs (light emitting diodes). Of these, preferred are band-shaped metal halide lamp tubes, cold cathode tubes, mercury lamps, or black-light lamps. Specifically, preferred are cold cathode tubes and black-light lamps which emit ultraviolet radiation of a wavelength of 365 nm, because bleeding is minimized, dot diameter is efficiently controlled, and wrinkling during curing is minimized. By employing the black light lamp as a radiation source of exposure means 4, it is possible to prepare exposure means 4 to cure the UV ink at a lower cost. Exposure means  4 is shaped to be nearly equal to the maximum one which can be set by recording apparatus (being a UV ink-jet printer) 1 of the ink dot receivable region in which the UV ink is ejected during one frequency of scanning in which recording heads 3 are driven by the head scanning means, or is shaped to be larger than the ink dot receiving region. Exposure means  4 are arranged and fixed on both sides of head carriage 2, being nearly parallel to recording material P.
As noted above, as a means to control illuminance in the ink ejection section, needless to say, entire recording heads  3 are shielded from light. In addition, it is effective that distance h2 between ink ejection section 31 of recording heads 3 and recording material P is adjusted to be greater than distance h1 between exposure means 4 and recording material P (i.e., h1<h2) and/or distance d between recording heads 3 and exposure means 4 increases (d increases). Further, it is more preferable that bellows structure 7 is applied between recording heads 3 and exposure means 4. Herein, it is possible to suitably change the wavelength of ultraviolet radiation which is exposed employing exposure means  4 by replacing ultraviolet radiation lamps or filters fitted with exposure means 4. 1B 1B black-light 0.4 120 A Inv. 2B 2B black-light 0.4 150 A Inv. 3B 3B black-light 0.4 130 A Inv. 4B 4B black-light 0.4 130 A Inv. 5B 5B black-light 0.4 50 B Comp. 6B 1B high 100 50 C Comp. Ink Composition Sets 1B-5B were prepared in the same manner as Example 1B. Subsequently, ink-jet images were formed in the same manner as Example 1B, except that exposure timing was varied as described in Table 7B, while setting the light exposure amount at 10 mJ/cm 2. Resulting Ink-jet Image Recorded Samples 7B-13B were subjected to each of the evaluation described below. 7B 1B black-light 0.4 A A Inv. 8B 2B black-light 0.4 A A Inv. 9B 3B black-light 0.4 A A Inv. 10B 4B black-light 0.4 A A Inv. 11B 1B high 0.4 B B Inv. 12B 5B black-light 0.4 C D Comp. 13B 1B black-light 3 D D Comp. Ink Composition Sets 1B-5B were prepared in the same manner as Example 1B. Subsequently, ink-jet images were formed in the same manner as Example 1, except that illuminance (mW/cm 2) on the substrate surface after ink ejection (also called ink discharge) was varied as shown in Table 8B. Resulting Ink-jet Image Recorded Samples 14B-19B were evaluated in the same manner as Example 1B. 14B 1B black-light 5 3 120 A Inv. 15B 2B black-light 5 5 150 A Inv. 16B 3B black-light 5 3 130 A Inv. 17B 4B black-light 5 3 130 A Inv. 18B 5B black-light 5 15 50 B Comp. 19B 1B high 100 3 50 C Comp. Further, in the present invention, one of the preferred embodiments of the exposure method of actinic radiation is that the actinic radiation has a peak illuminance of 1-500 mW/cm 2 as the effective curing wavelength. Still further, in the present invention, another preferred embodiment of the exposure method of actinic radiation is that the peak illuminance of the actinic radiation in the effective wavelength region for curing is 500-2,000 mW/cm 2. Printed matter of the present invention is characterized in being prepared by employing the image forming method of the present invention, and/or the image forming apparatus described in the present invention, while using non-absorptive recording materials. “Non-absorptive”, as described herein, means that the actinic radiation curable resinous composition (ink) is not absorbed. In the present invention, recording materials which have an ink transfer amount of at most 0.1 ml/mm 2 determined by Bristow's method, described below, or substantially 0 ml/mm2 are defined as non-absorptive recording materials. Bristow's method, as described in the present invention, refers to the method which determines liquid absorption behavior of paper and paper board over a short time period. In practice, measurement is performed in accordance with J. TAPPI Paper and Pulp Test Method No. 51-87 Test Method of Liquid Absorption of Paper or Paper Board (Bristow's Method). The resulting liquid absorption is represented by ink transfer amount (ml/m 2) within a contact time of 40 milliseconds. Incidentally, in the aforesaid measurement method, pure water (such as ion exchanged water) is employed. However, in the present invention, in order to easily discriminate already measured areas, water-soluble dyes may be incorporated in an amount of at most 2 percent. Each of the inks prepared as above was ejected onto sheets of a corona treated PET (polyethylene terephthalate) film as a substrate, employing piezo type ink-jet nozzles (nozzle pitch of 360 dpi wherein dpi represents the number of dots per inch or per 2.54 mm) capable of forming a liquid droplet volume of 7 pl, while maintaining the nozzle section at 50° C. Employed as a light source was a fluorescent tube having a main peak at 308 nm. Exposure was initiated 0.2 second after ink impingement under conditions of the illuminance on the substrate surface of 10 mW/cm 2 just under the light source, and after 0.7 second, exposure was terminated (at an exposure energy of 5 mJ/cm2). The aforesaid test was carried out at a low humidity ambience (25° C. and 20 percent). Further, in order to evaluate ambience adaptability, Inks 1D, 5D, and 6D were evaluated in the same manner as above at a high humidity ambience (25° C. and 80 percent). Illuminance onto the exposed surface was set at 1,000 mW/cm 2, and energy of the exposed radiation was controlled by varying the speed of the aforesaid conveyer. The radiation was exposed to the entire ink coated surface while the integral radiation amount was variable from 50 to 600 MJ/cm2. Curing speed was determined when no surface tackiness was noticed. The aforesaid curing speed was evaluated at 25° C. and 30 percent relative humidity. Oxygen of Oxetane mJ/cm2 Storage 55° C.
1. A photocurable ink for ink-jet recording, comprising an oxetane compound having a substituent at the 2-position of the molecule. 2. The photocurable ink for ink-jet recording of claim 1, wherein the oxetane compound has an electron-donating group and an electron-withdrawing group in the molecule. wherein each R1 to R6 is independently a hydrogen atom or a substituent, provided that at least one of R3 and R4 is a substituent, and at least one of R5 and R6 is a substituent. 4. The photocurable ink for ink-jet recording of claim 3, wherein the oxetane compound has an electron-donating group at the 2-position of the molecule, and an electron-withdrawing group at the 4-position of the molecule. 5. The photocurable ink for ink-jet recording of claim 2, wherein the oxetane compound has a substituent at the 3-position of the molecule. 7. The photocurable ink for ink-jet recording of claim 6, wherein at least one of oxygen atoms of the oxetane rings has a largest electron density in the oxetane compound. 8. The photocurable ink for ink-jet recording of claim 1, wherein the oxetane compound further comprises an oxygen atom other than an oxygen atom of an oxetane ring, and an electron density of the oxygen atom other than the oxygen atom of the oxetane ring is less than an electron density of the oxygen atom of the oxetane ring. 9. The photocurable ink for ink-jet recording of claim 1, wherein the ink further comprises a photo-acid generating compound. wherein an amount of an energy input to an exposure light source for supplying the active ray is 0.1 to 50 W/cm. wherein the irradiating step is carried out between 0.001 and 2.0 seconds after the jetted droplet of the ink reaches on the recording material. wherein an illuminance on a surface of the recording material during the irradiating step is from 0.1 to 50 mW/cm2 in a range of 200 to 450 nm. wherein the active ray is an ultraviolet ray having a peak wavelength of 200 to 420 nm. WO2007045579A1 (en) * 2005-10-21 2007-04-26 Agfa Graphics Nv Curable inkjet ink set and methods for inkjet printing.